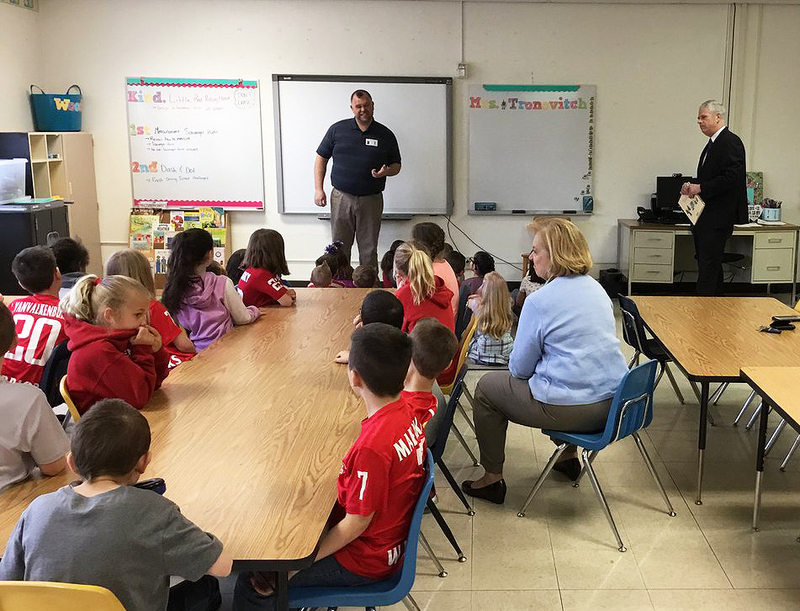 Representatives from Broome County’s Cornell Cooperative Extension recently brought some special treats to our second grade students through the Agriculture (Ag) in the Classroom program! On March 29, each Port Dickinson Elementary second grade class was read the book “On the Farm, At the Market” by G. Brian Karas. The book displays many aspects of New York State’s unique agriculture, including food production and distribution. Broome County Executive Jason Garnar even paid a special visit and read the book to Mrs.Shelepak’s and Mrs.Dellapenna’s classes in a morning session! All second grade students also had the opportunity to sample locally made maple cream and cheese curds. The Ag in the Classroom program is made possible at Chenango Valley Central School District thanks to the help and collaboration of New York State Senator Fred Akshar, Broome-Tioga BOCES and Cornell Cooperative Extension of Broome County.